Doing taxes isn’t always fun but with a little planning and preparation, you may be pleasantly surprised by the results. As the April 15th tax filing deadline approaches, many of you will have started preparing your tax returns, or compiling records for your tax preparer. But if you are a travel nurse or another type of healthcare traveler, there are a number of tax issues and recent tax law changes that affect you. So what should travel nurses and other healthcare travelers know about taxes this year? We summarize some of the most important things in this post. Please keep in mind that we are not tax professionals, so this guide is only provided for general information. You should definitely also consult a tax professional, such as a tax lawyer, certified tax preparer or accountant, who can provide you with tax preparation services and professional tax planning advice and guidance. But this post will help you know what to pay special attention to! Most travel nurse employers provide pay packages designed to minimize taxes and maximize “take home” pay. That’s why travel nurse staffing agencies often also advertise a weekly net “take home pay” amount in their job postings. This is usually based on an assumption that hourly wages are fully taxed, while stipends, reimbursements and other compensation and benefits are tax-free or taxed at a lower rate. But it pays to take this with a grain of salt! The rate at which compensation is taxed or whether it is taxed at all depends on a lot more than whether it is classified as an hourly wage, a stipend or reimbursement. As we’ll soon explore in more depth, it often depends on individual circumstances and whether an individual healthcare traveler meets all the criteria for a particular compensation type to be untaxed or taxed at a lower rate. So the net amount or “take home pay” will be different for everyone. That’s why it’s actually the gross amount (per hour or week) that should matter most to you, when you’re comparing travel nursing pay packages. It is important for travel nurses to be aware of the tax issues for each compensation type. That’s why we will look at each type more closely in the rest of this guide. Your hourly wage or base salary is the amount you are paid directly for your work as a nurse. For most travel nurses, this will be an hourly wage based on the number of hours worked per week. Federal law, including the Fair Labor Standards Act (FLSA) and its amendments, generally requires overtime pay of one and a half times the regular rate for any hours worked over 40 hours per week. But state law, company policies and the terms of your travel nursing assignment contract may provide additional overtime pay and an increased holiday pay rate. For most travel nurses, hourly wages will be reported on a W-2 form and subject to 15.30% in payroll taxes. Those are required by the Federal Insurance Contributions Act (FICA) and fund Social Security and Medicare, but they are split evenly between the employer and employee. In addition, hourly wages are subject to federal income tax, and state and local taxes that depend on where you live. Many travel nurses and travel nurse employers prefer the hourly wage number to be as low as possible, so the tax liability will be lower. But setting the hourly wage too low carries some risks as well. It can present a number of issues, for example when it doesn’t reflect the regional market rate for the work in your profession, specialty and facility type, with your qualifications. It can mean that you will receive less in Social Security retirement or disability benefits later. After all, those are based on the wages that Social Security payroll taxes have been paid on. It can cause problems when applying for certain types of loans, like a mortgage, home equity line of credit or an auto loan. 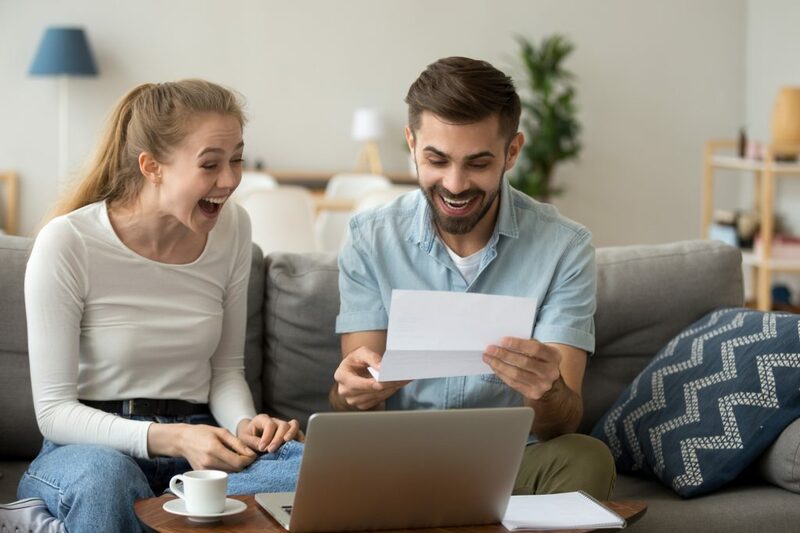 That’s because most lenders look at W-2 income when they calculate a debt to income ratio to determine whether you can afford to repay the loan, and may not consider some other forms of compensation like stipends and reimbursements. Now, reading all this, some travel nurses might think that the obvious solution is to just choose to be paid a higher hourly rate and a lower stipend amount. Unfortunately, most travel nurse employers and agencies will not be willing to make an exception for you, because they are concerned that applying different splits between hourly rates and stipends might be construed impermissible “wage recharacterization,” which would make them retroactively liable for back taxes and penalties. And they’re not wrong to be concerned: the IRS guidelines on wage recharacterization specifically list varying splits at a nurse staffing agency as an example of impermissible wage recharacterization. Most travel nurses receive a per diem stipend or allowance to help them cover the costs of lodging, meals and other incidental expenses during a travel nursing assignment. The “per diem” part means that they don’t have to fuss with collecting receipts to receive their reimbursement, like in traditional expense systems: they just get a daily (per diem) allowance or stipend. Exactly how much that can be is specified by the federal government’s General Services Administration (GSA) and depends on the state and city where you work. This can work out quite well for travel nurses: you can often spend less than the per diem you receive, and you don’t have to pay taxes over it. Here you have to pay attention, though: not all stipends are tax-free for all travel nurses. It is important to understand the tax rules and regulations about them, and the circumstances under which stipends can be tax-free. For example, keep in mind that the primary purpose of these stipends is to reimburse travel nurses for additional expenses they would not have faced if they had not taken on a travel nursing assignment away from home. If you took on a travel nursing assignment nearby and you’re not actually working away from home or incurring additional expenses, the stipends count as taxable wages rather than tax-free stipends. To be eligible to receive tax-free stipends, travel nurses have to meet several conditions and requirements. One of the most important is whether you are actually working away from your home. Some travel nurses and agencies mistakenly believe that the IRS requires your travel nurse assignment location to be at least 50 miles away from your home. This is incorrect; what the IRS actually cares about is how long you are away from home and what you do during that time. If you meet all three conditions, then your tax home is the home where you regularly live. But if you only meet two of the three conditions, you may have a tax home there but it depends on other facts and circumstances. And if you don’t meet any of the conditions, then the IRS considers you to be an itinerant worker with a “tax home” wherever you happen to be working during a given assignment. In that case, you won’t qualify for any tax-free stipends or reimbursements! There are a number of ways to make sure you meet these requirements, but they often take careful planning and record-keeping. One way to meet the first condition is to work at the location you want to be your tax home for part of the year. Joseph Smith, a former healthcare traveler and a tax professional at TravelTax, suggests that earning at least 25% of your income there would qualify and that in this case, having duplicated living expenses, such as a monthly rent or mortgage payment, may not be required. Many travelers satisfy the second condition by making sure they have living expenses at the desired “tax home” location that are then duplicated during their travel assignments. Some travelers will rent a room from a friend or relative to meet the requirement, but it is important to make sure that the rent being paid is a fair market value and not a token amount to artificially create a tax benefit. The third condition is often one of the easiest to satisfy. Joseph Smith from TravelTax also suggests that spending at least 30 days per year at the location you intend to be your tax home will be enough. In December 2017, Congress passed several changes to U.S. tax law, which went into effect on January 1, 2018. One significant change that affects travel nurses is the elimination of employee expense deductions from 2018 until 2025. This means that travel nurses will no longer be able to deduct any unreimbursed expenses related to their employment as a travel nurse. The good news, though, is that the standard deduction has increased (offset partly by the elimination of the standard exemption), and a significant percentage of travel nurses will pay less tax starting in 2018. Unless the law changes, employee expense deductions will also return in 2026. Despite the temporary elimination of these deductions, it is still important for travel nurses to keep good records of their expenses. One important reason is to document that they are duplicating living expenses in their tax home when they are on assignment. It is also important to document travel and transportation expenses because any portion of transportation stipends and allowances that are not actually spent on travel and transportation has to be added back to income. We hope this information has been helpful but please make sure to consult a tax professional for tax return preparation and tax planning advice, ideally one with experience preparing healthcare traveller returns. Joseph Smith, a former healthcare traveler and a tax professional at TravelTax is highly recommended by many travel nurses. Do you know any other tax professionals who specialize in preparing tax returns for travel nurses and other healthcare travelers? Is there anything else that is really important for travel nurses to know about taxes? Please comment here or contact us.